All of these resources are designed to help you easily share Eatology and to educate your community on clean eating. 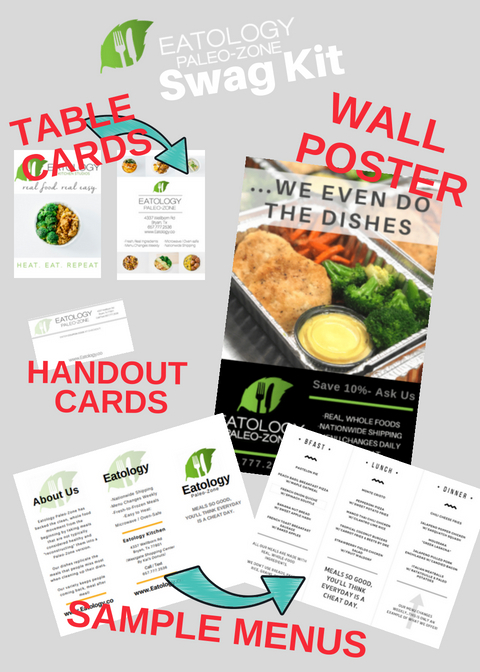 Here, you will find a collection of graphics like Eatology banners, coupons, marketing materials, and more. Some of these are specifically designed to be easily customizable-- add your affiliate code! There is also a collection of educational resources such as CrossFit Journal #21, meal builders, food lists, blockcharts and such. We have bundled some of our most popular resources together for you! Ask us about a kit perfect for your needs and we will mail it right to you! 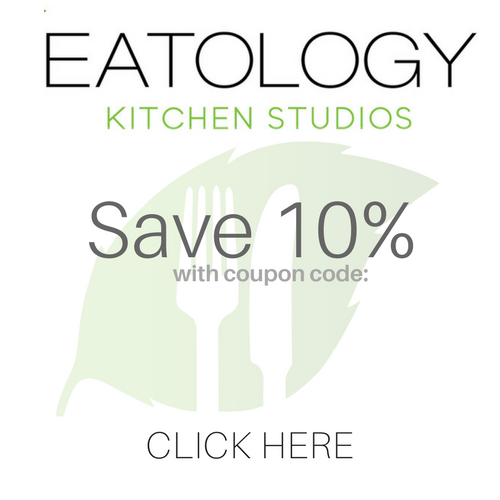 This poster is a constant reminder to "check out Eatology"! Hang it on a wall in your gym, office, breakroom...easy as that! Ask us-- and we can mail a printed poster to you! 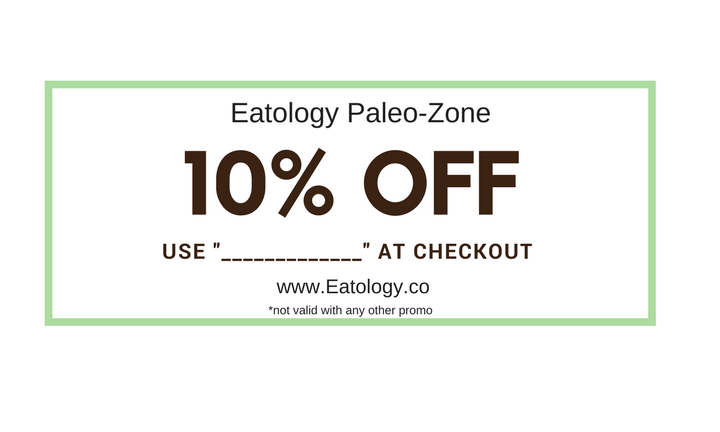 This classic banner is great for sharing Eatology. This banner is customizable! It's easy to add your affiliate coupon code...check out affiliate videos to see how it's done! It's ideal to add to your website (maybe on your homepage or nutrition page?) 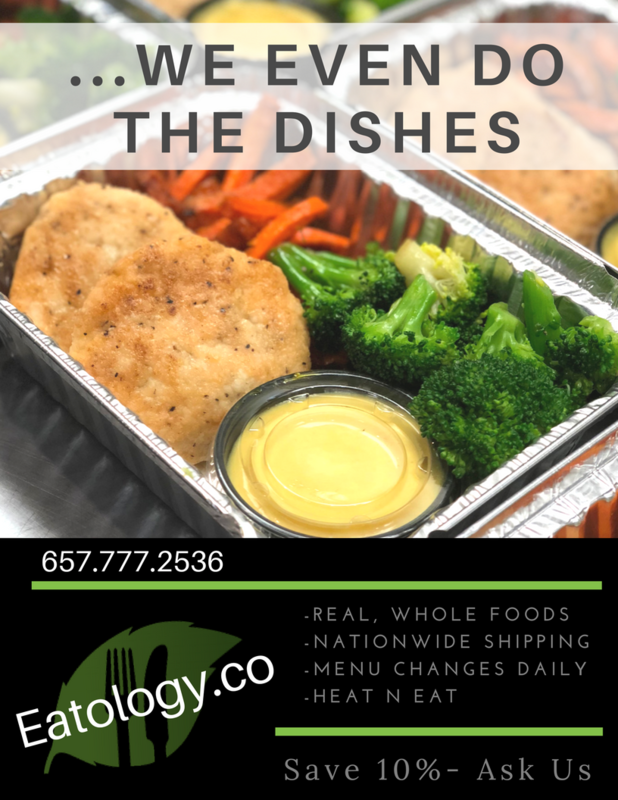 and link to www.Eatology.co for streamlined ordering. This coupon banner is customizable! It's easy to add your affiliate coupon code...check out affiliate videos to see how it's done! This is a great customizable graphic to exchange as a digital coupon code/business card. *It is also available pre-printed and mailed to you- ask us! This collection of resources is going to be mega useful for educating your community on the principles of clean living. SUGGESTED USES: If you are starting a "Nutrition Challenge" or introducing a new client to our way of eating, including these resources will be helpful. This is "the little black book" of what we do when it comes to Zone. It is a great resource everyone should read. This is a great outline to assist in note-taking for our Nutrition Seminar. 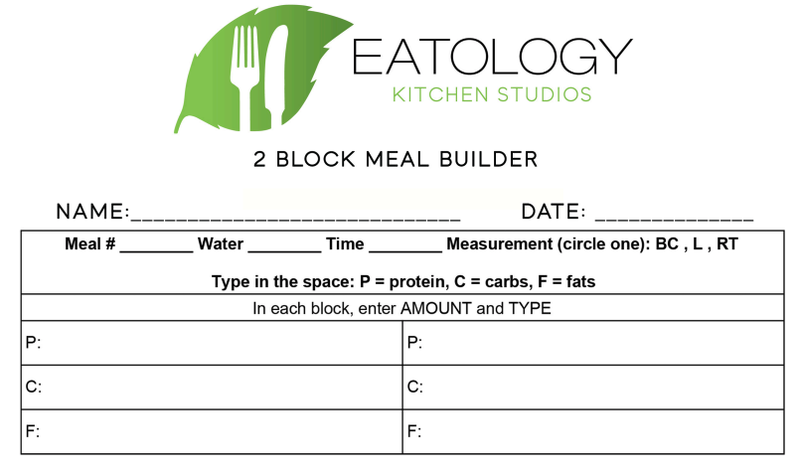 This is a macro template for a 2 Block meal. It will help teach you how to block out single-ingredient foods and combine them into meals/snacks. 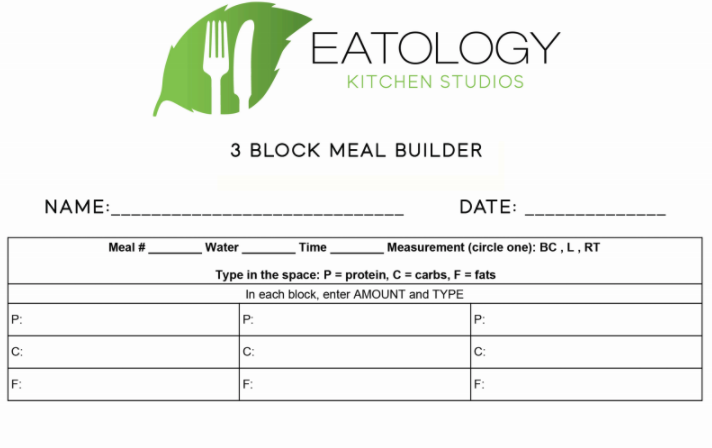 This is a macro template for a 3 Block meal. It will help teach you how to block out single-ingredient foods and combine them into meals/snacks. This is a list of Paleo foods for quick-reference. This is a great "cheat sheet" when it comes to portion control for Zone Blocks. 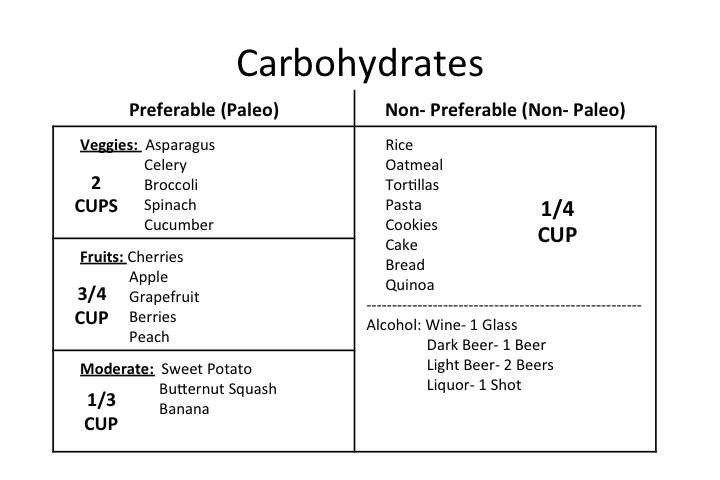 These are general guidelines for carb Blocks.